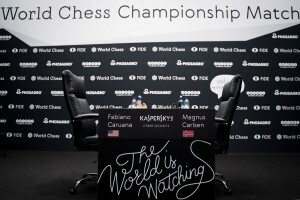 Carlsen – Caruana 2018 game 7 LIVE! Game 6 of the World Chess Championship was Carlsen’s 11th consecutive draw. Besides the 6 games at the WCC, he also drew his last five games of the European Club Cup. In quite a few of these games, Carlsen was against the ropes. In this World Championship match he is not in a must-win situation. Six more consecutive draws will lead him to a tiebreak, where he has proven superior in faster time controls. Caruana, on the other hand, is gaining confidence with every game and may already be hungry for a win. Caruana is cruising safely so far with the black pieces thanks to solid home preparation. If Carlsen wants to take this match, he might need to go for slightly riskier openings. The early queen exchange that looked like fireworks was really just a few moves excitement that allows black to equalize early on. Will we see 1. d4 today or another repeat of a theoretical battle? 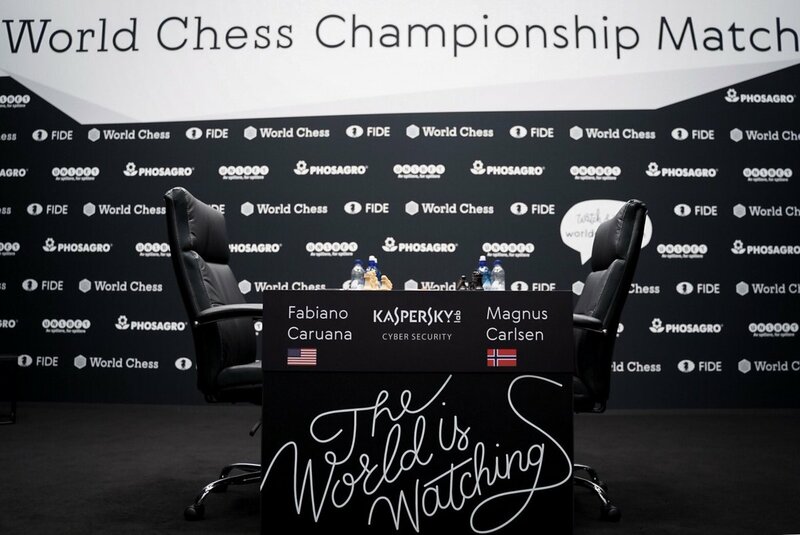 One hour is left to the start of game 7 of the World Chess Championship match between Fabiano Caruana and Magnus Carlsen. This is the first game after the halftime of the match. With the score equal 3-3 Magnus Carlsen will have the white pieces for a second consecutive game.